Looking for information on Chandler real estate in the East Valley of Phoenix? Be sure to check out the Chandler homes for sale stats and the local properties available below. The numbers shown include both condos and single family homes, so you'll get a better idea of what the market is doing. Located within close proximity to ASU and the airport, Chandler is a thriving community with lots of amenities and local recreational activities for home buyers. This is the Beverly Hills of Chandler!!! Exclusive gated community with enormous lake and grassy hills. Limited extremely luxury homes. Stunning custom 6828sf estate on acre+ home site. Offers indoor to outdoor living! You'll feel like you're in a resort with 14' ceiling high and seamless windows and floor to ceiling sliders from huge great room to 1950sf of patio and water feature. 1862 sf garage/storage. Fantastic views of lake. Guest qtrs. Exquisite cul-de-sac home in gated community of Stellar Airpark Estates. This one of a kind Gated Aviation Community offers the convenience to fly where you want from your own private hangared residence. Home features Travertine flooring, large family room, gas fireplace, large open kitchen w/granite, SS appliances, walk in pantry. Over sized master bedroom w/large walk in closet, 2 person jetted tub, separate vanities. Lots of storage. Thanks for checking out our web page today. Right here you'll discover all currently listed houses for sale, along with property and neighborhood details, Google street views, and so much more. Our people truly aim to bring you everything you need to not only search for a property, but to make a knowledgeable decision on communities and communities based upon local amenities and schools. We know that you are not just purchasing a property, but a neighborhood and school system. If you have any problems, be sure to let us know. Making your house search a little simpler is our ultimate goal. To help with this, we have separated all the MLS home listings into price points, so you'll be able to very quickly see the houses that meet your price criteria. What's My Home Worth In Today's Chandler Real Estate Market? If you are also looking at selling your home, or just want to see what your house might be worth, use our "Selling Your Property" tool below. This will allow you to easily see what homes are selling for in your neighborhood. 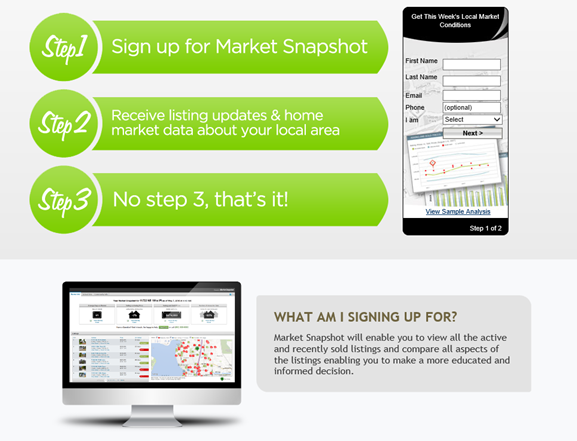 The easy to read tool lets you see average selling price, days on market and much more. Give it a try today and let us know if you would like a professional value analysis on your home. We are here to help you with both buying and selling a home. The Cascade Team Real Estate has made it easier than ever to learn more about the Chandler area. We have local area Chandler Realtors that you can use to bounce ideas and questions off of. If you would rather start the process on your own, we allow you to search by area, price, beds, baths and a variety of other search criteria. So begin exploring the various Chandler area neighborhoods to determine which one best fits your home and lifestyle criteria. The Cascade Team Real Estate neighborhood pages are a great source for information on homes in Chandler, giving you access to sold property info, local demographics, neighborhood amenities and local school information. Every one of the listings shown on our site provides access to this valuable information so you can see all the factors influencing your decision. Be sure to check out the school and community information below by clicking on the school reports image. Again, if you have any questions, fill out the contact form below and one of our local Chandler Realtors will be happy to answer any questions you may have. If you are a Canadian looking for a second home or an investment property in the Chandler, we can work with you as well. We have a team of local professionals we work with that are very familiar with the nuances of transactions with Canadian home buyers. Feel free to call if you have any questions or need assistance in searching for your second home. If you are looking for information on schools in Chandler, click the image below to see all schools in the Chandler area. Be sure to click on the school name and use the drop down menu to see the school profile, student teacher ratios, test scores and more. In addition, click on the community tab to see valuable information about the Chandler community. Let us know what type of home you are looking for in the Chandler area, and one of our local Chandler Realtors will be glad to answer and questions, give you a comparative home value analysis and show you any MLS property listing of interest. Contact us today!